Dr. Gotcher attended Texas Lutheran University in Seguin, Texas, where he majored in molecular biology and pitched for the TLU baseball team. After graduation, Dr. Gotcher completed his Doctor of Dental Surgery degree at the University of Texas Health Science Center at San Antonio. A West Columbia native, Dr. Gotcher is proud to be back in Brazoria County caring for the Lake Jackson community. 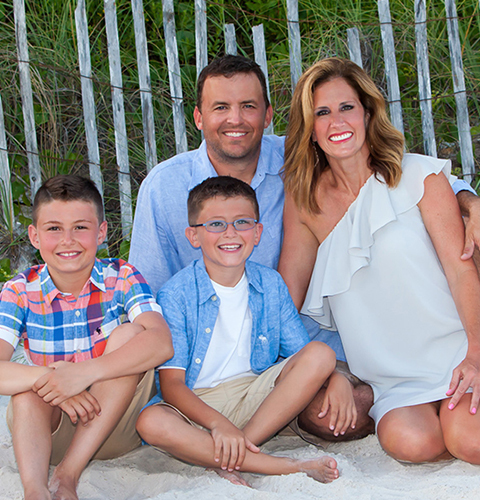 When he’s not at the office, you’ll find him spending quality time with his wife, Jackie, and their two wonderful boys, Cole and Connor. He also loves the outdoors and likes to hunt and fish with his family. Dr. Gotcher looks forward to getting to know you and your family, too!